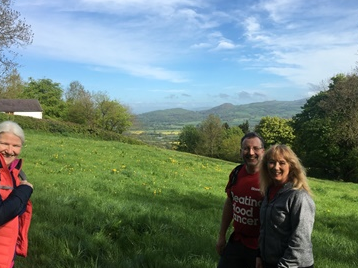 ONLINE ENTRY HAS OPENED for these beautiful rambles, 23, 13 or 10 miles long, over rolling Shropshire Hills. The countryside is remote, but safe since we provide clear signage, written instructions and helpful marshals. Entry fee online is £18, £19 by post, £20 after April 1, including instructions, refreshments, lunch, transport and a certificate. All proceeds go to blood cancer research. Over £19,000 was raised last year.